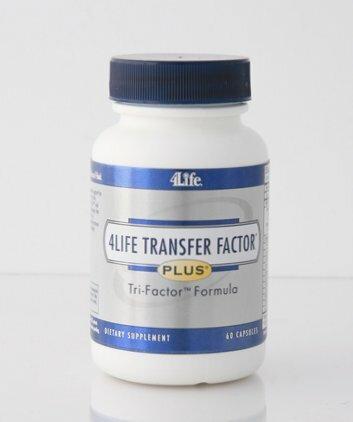 A supplement derived from colostrum which supports the immune system. We often use Transfer Factor to improve the quality of life of animals suffering from cancer. Click on the picture to find out more. 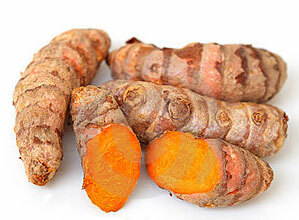 We use herbs including tumeric in specific individualised combinations to help animals with cancers. 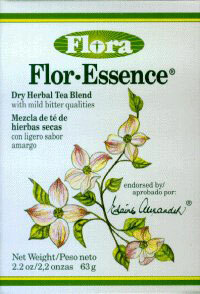 We stock a version of the famous herbal tea called Essiac invented by Rene Caisse. The formula is based on an old American Indian formula for helping patients with cancer. Apocaps® are a giant leap in dog health innovation. Using pure, 100% human-grade, all-natural active ingredients, Apocaps® CX helps dogs by unlocking a natural biological process in the body called apoptosis. This normal body process is nature’s key to health. It is built into the DNA, just waiting to be amplified to proper levels. What does apoptosis do in the body? Apoptosis safely and naturally dismantles and clears old and damaged cells from the body. Apoptosis happens automatically within cells at the end of their natural lifespan: when they have outlived their usefulness, or when the body no longer needs them. It also happens when a cell is damaged, becomes deranged, and cannot be repaired. When apoptosis is needed, apoptosis genes turn on and direct the cell to die. Then the body clears the broken down cell from the body through normal elimination. This is vital for life. Without apoptosis, old and damaged cells would remain in the body. Apoptosis happens regularly in every body: the average adult human experiences apoptosis in an estimated fifty to seventy billion cells every day. Scientists commonly refer to apoptosis as “cell suicide,” which sounds a little harsh for such a normal, fundamental and desirable process. Maybe that is why its official name is apoptosis, which is a Greek word meaning “dropping off” or “falling off’: this is the word used to describe the falling of leaves from a tree in autumn, or the falling of petals from a flower. It’s a nice image, and it fits the very natural, normal role apoptosis plays in the body’s cycle of life. A cell is born, lives, and dies. It’s as simple as that. Or it should be. Unfortunately, apoptosis levels can be reduced by many factors. When apoptosis genes stop working and let cells live beyond their normal lifespan, the body can use a boost. 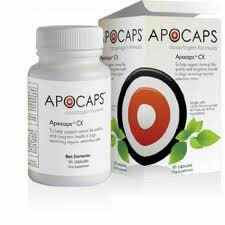 Apocaps® capsules are designed to help support apoptosis in dogs. Several plants have naturally occurring molecules which actually support apoptosis when they are introduced into the living body. These molecules are called “apoptogens,” and the plants they come from are are the subject of cutting-edge research in several laboratories around the world. Many of these plants are difficult to extract and not readily available to the public, until the introduction of Apocaps®. This is the only apoptosis formula available, and it’s made specifically for dogs. Some of the plant ingredients in Apocaps® — would need to be eaten in such high quantities that an extract form is vastly preferable. Developed by a vet specifically for use with his own canine patients. Apocaps® provides extraordinary quality at extraordinary value.